A big thank you to all concerned for yet another excellent Blenheim Day gathering held on Saturday 1st October. 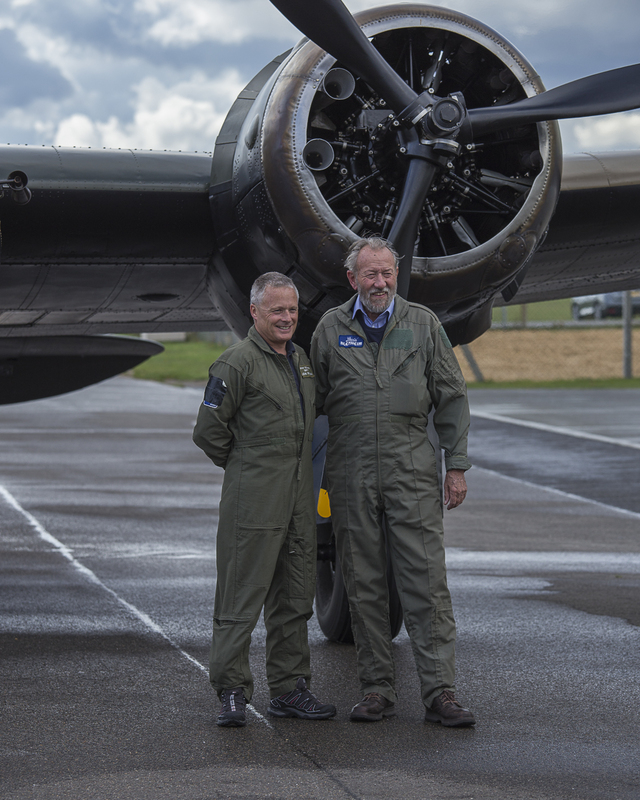 Once again John Romain played host to members of the Society at his ARC premises on Duxford airfield. New this year was the large hangar erected next door. 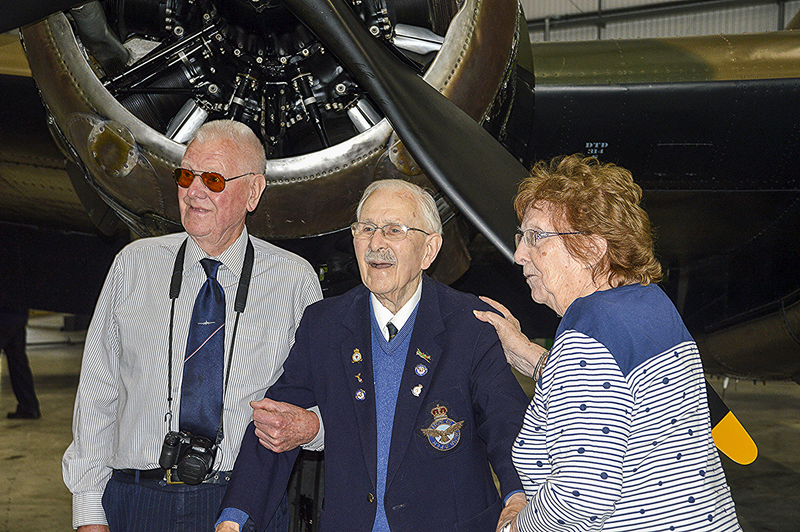 Built to house the Lancaster when it comes in for its first major overhaul by ARC, the hangar has been officially named the Stephenson Hangar after Air Commodore Geoffrey Dalton Stephenson who was the CO of 19 Sqn based at Duxford during the War. He was flying Spitfire 1a N3200, when it was shot down landing on the beach at Sangatte. This aircraft was recently restored by ARC. We were mustered into the new hangar to listen to Smudge in front of the Blenheim. He revealed the installation of a small chequered flag insignia in the nose of the aircraft as a tribute to our late President Graham Warner. Without Graham’s intervention many years ago, it is unlikely that the aircraft would be where it is today. 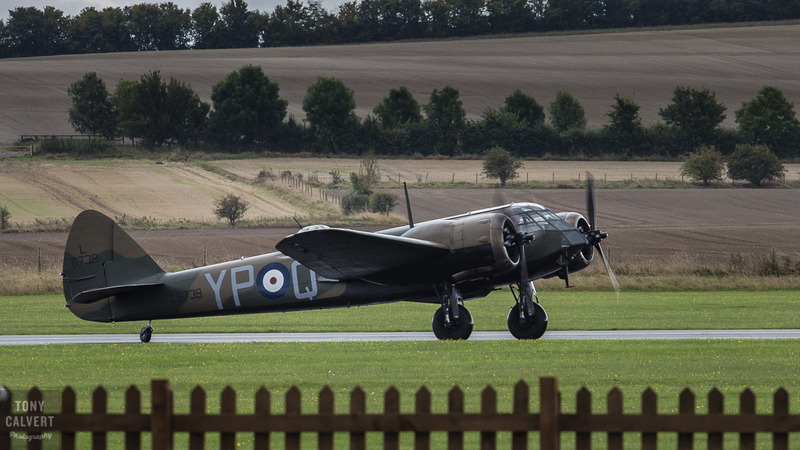 Highlight of the day was seeing John take last year’s draw winner for a flight in the Blenheim, having set off to view a local military cemetery, John brought the Blenheim back in from behind the American Air Museum low and fast sweeping over the top of those assembled in front of the hangar. A fitting end to the second season of flying after returning to the air. cuisine provided by John’s wife Amanda, ably supported by Linda and Pam and thanks to Annabelle for her work on the refreshments. The event once again demonstrated how fortunate we are in belonging to an organisation that as well as it’s fund raising role, has a unique ability to bring together like-minded people, young and old. Here is looking forward to the next get together over Christmas lunch.